Julius Henry “Groucho” Marx was known as a master of quick wit and is remembered as one of the greatest comedians of all time. Besides starring in 13 featured movies, his fame came from his solo radio and television show You Bet Your Life. He had a unique appearance, distinctive for his glasses, cigar and moustache and his quirky exaggerated stoop posture. While we have many of his iconic moments on tape, both film and audio, there is one particular moment in his life that was not recorded but is nevertheless very curious and worth noting. In 1958 he was traveling through Europe with his friend and director of You Bet Your Life, Robert Dwan. They were on the road for six weeks and brought their daughters, Melinda Marx and Judith Dwan Hallet, as the opportunity was perfect for the young girls to see Europe and experience different cultures across the ocean. 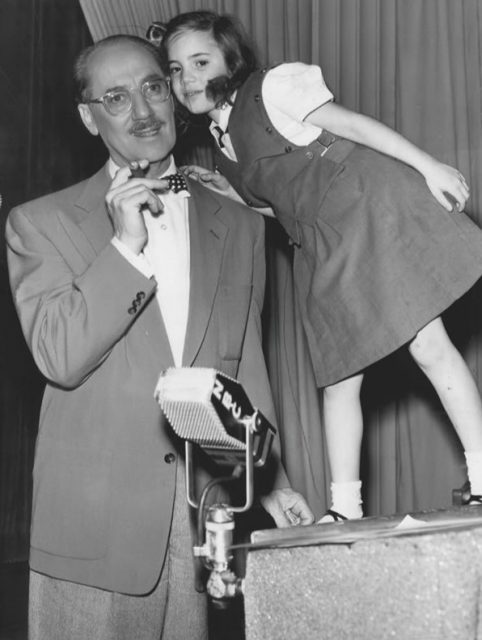 On the set of You Bet Your Life with daughter Melinda, 1953. During their trip one of the most important stops for Groucho was Germany, especially the small town of Dornum. 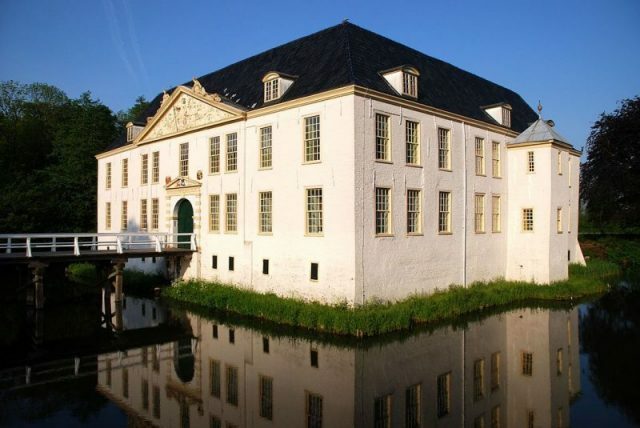 This is where his maternal grandmother was born and where she lived before coming to the New World. Groucho’s mother Minnie was a big influence and support in his life, she even is to credit for launching his career. He wanted to visit the town graveyard and see where his family were buried, as his mother never got a chance to come back to her hometown. 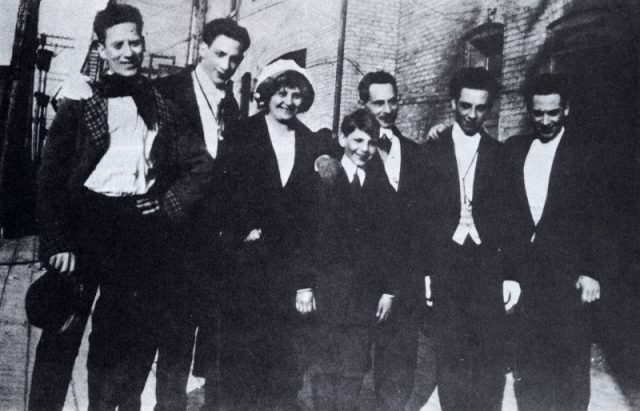 The only known photo of all five Marx brothers with their parents in New York City, 1915. From left: Groucho, Gummo, Minnie (mother), Zeppo, Frenchie (father), Chico, and Harpo. The trip was fun for the whole crew, and Groucho, as a true comedian would entertain the group by singing and stopping the car for the group to take funny photos. When they reached Dornum they first went into a local pub to relax and find a way to the town’s cemetery. Groucho was surprised that no one knew about him and his siblings. 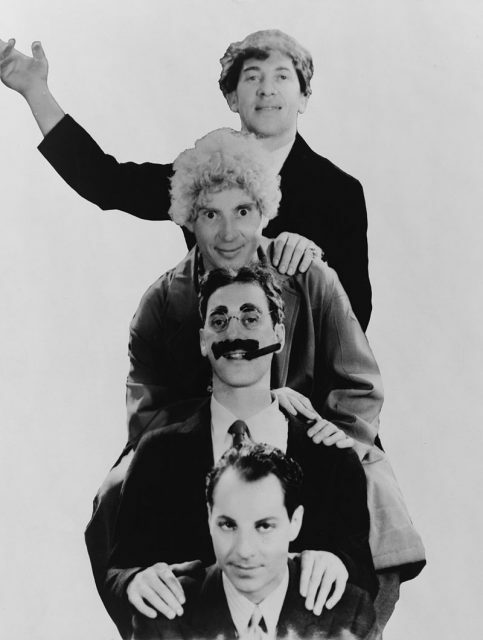 The Marx Brothers in 1931. Dornum was not a tourist place and people did not care much about American pop culture. 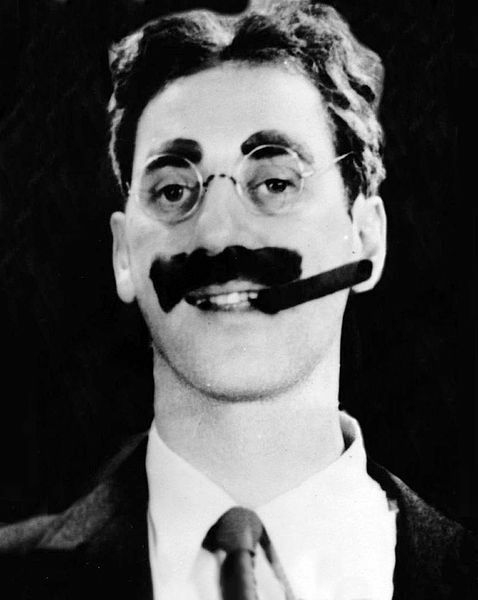 Nevertheless, Groucho performed a couple of stunts and made people laugh, so he did not leave only with the directions to the graveyard, but also with a couple of new fans. However, upon reaching the cemetery the good and upbeat mood left the group. 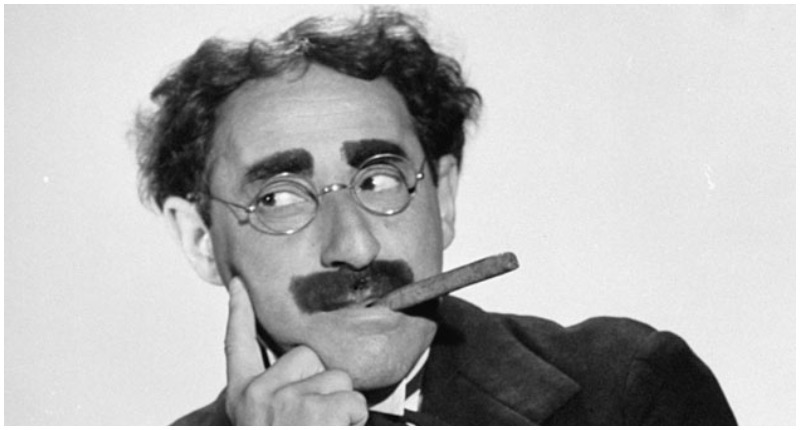 Groucho found out that the graves of Jewish people had been destroyed. 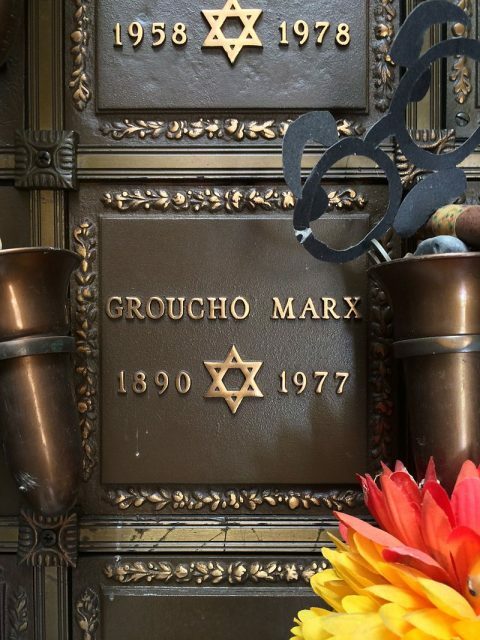 Groucho wanted at least to get the burial records of his Jewish ancestors, but even these were nowhere to be found. He was shocked and disappointed. Judy claimed that the singing and fun were gone, and Groucho’s mood had completely sunk. 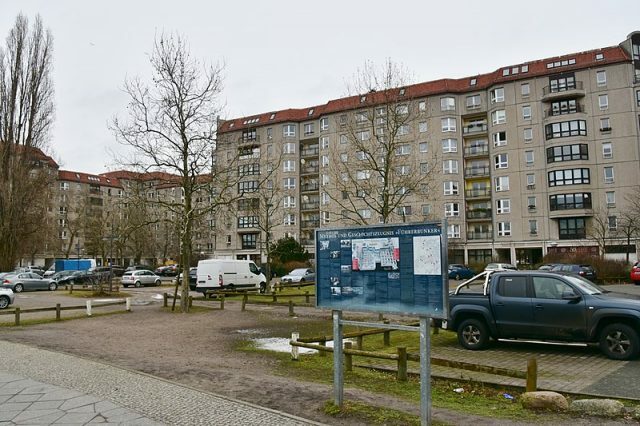 A couple of days later he abruptly declared to his chauffeur and the rest of the group that he wanted to go to East Berlin, to visit what was left of the bunker where Hitler took his own life. They all drove to Berlin in quiet and did not know what to expect. Once the group arrived there they first had to overcome the feeling of shock as the place looked like the war ended yesterday, not more than a decade ago. The pile of ruins was left to stand as a reminder of the events of World War II. Groucho climbed on top of the almost 20-feet-tall pile of debris and remnants of Hitler’s bunker, the Führerbunker. He first paused for a little bit. After this moment of silence he started dancing the Charleston, a classic Golden Age dance step — without his signature smile on his face. The whole dance lasted for a minute or two and left the whole group feeling uncomfortable. The Telegraph reports Judy’s words: “Nobody applauded, nobody laughed.” When he was done with his ultimate act of defiance and condemnation he requested to leave Germany the next morning. Suddenly, the whole trip turned somber and the fun of it was lost.